I should probably go ahead and admit that this is the corniest title I have given to one of my nail art designs. The truth of the matter is, I really just wanted a name that has the word "fade" in it and connect it to Valentine's. But no matter how corny that title may sound, I do believe in it. The reason I wanted to incorporate the word "fade" into the title is because it was my inspiration. I love the effect of the watercolor technique on the nails and decided to do it again. It gives a washed out effect and the best thing is, I didn't have to worry about opacity that much. It's fun to do and easy as well. It looks like a rose from a distance. But to me, it is more like a water ripple. 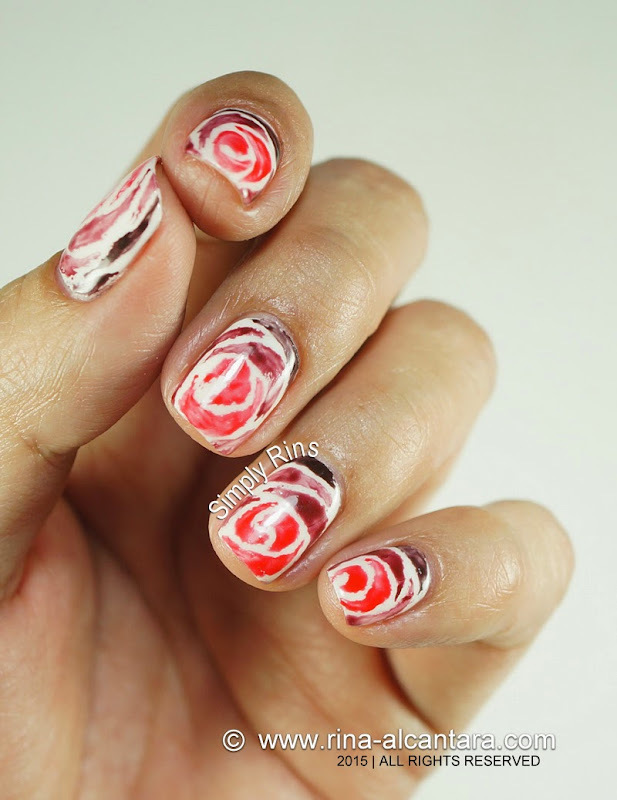 I decided on an ombre theme in terms of color using just red and black that would make it appropriate for Valentine's Day. It doesn't appear too sweet which would probably appeal to people who would like to wear something subtle for the occasion. 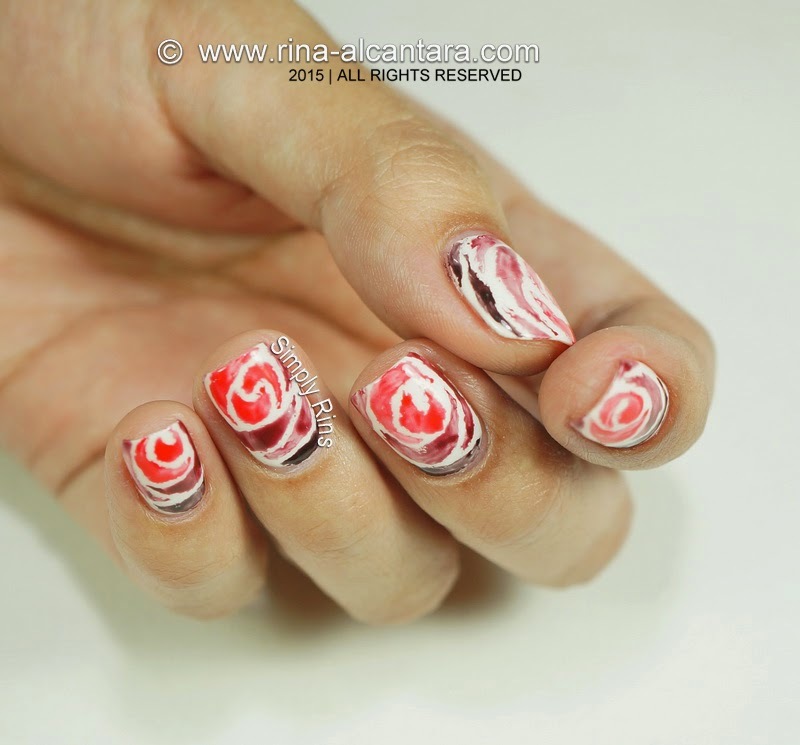 This is a freehand nail art design using acrylic paint and a small flat nail art brush. You can also use a detailing brush if you prefer. I just thought that a flat brush would make it more manageable to spread the very thin paint. The idea of the watercolor technique is to water down your paint so that when you actually start painting, the consistency will unevenly spread on your canvas. One of the good things I like about this technique is the fact that it requires less precision during the painting process. And for a person like myself who likes clear and neat lines, it is surprising that I am getting fond of this! 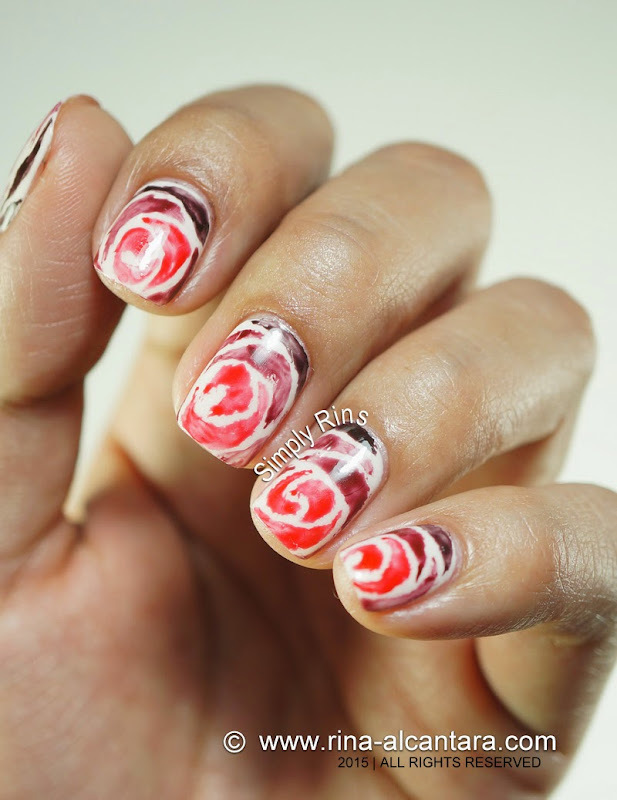 For the ombre look, I started with a basic red acrylic paint and just added black along the way. 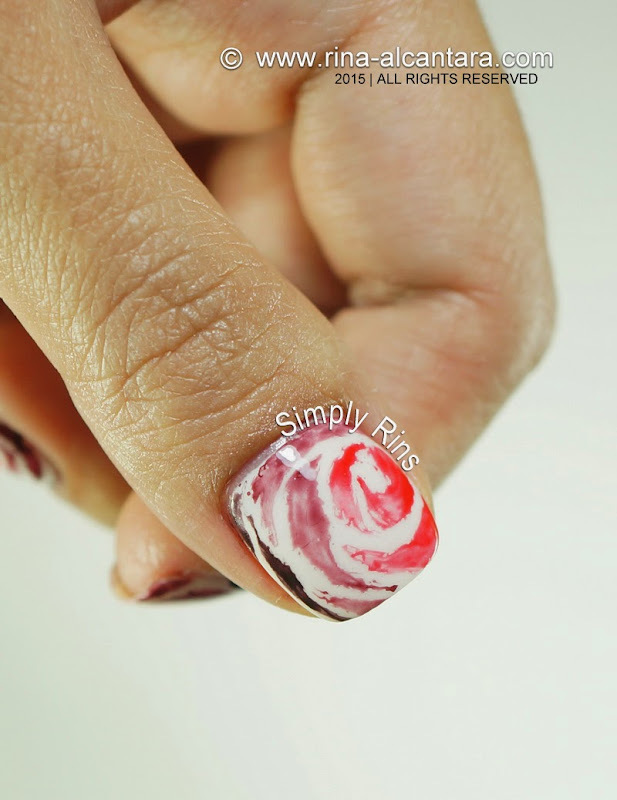 For consistency, paint all your nails a color at a time instead of finishing one nail at a time. Remember to allow a little more time for the paint to dry since we watered our paint down. Adding a top coat prematurely can smudge the paint and ruin your design. The month of love has started and I'm quite sure that a lot of people have already made plans for Valentine's Day. As for me, I usually just stay in and avoid the crowd. I like the way you publish. I like the topic. Thanks for such a awesome web page. I like it. Thanks. Love vashikaran Solution specialist. Everybody is busy in their own life. As a result, they have more issues.